StartupReporter would like to continue a series of articles “Startup Journey: from 0 to 1”. In this series of articles, we would like to show startuppers not only through their innovative projects but also by talking about their personality and the team. Oleksandr Komarevych (OK): – Gianluca, please tell me what MyLab Nutrition is, where did the idea of personalised food supplements come from and why in this period? Gianluca Perra: – Two years ago I founded my brand of sports supplements called “T-Rex Integratori”, which is currently growing very strongly as “Bestseller” and “Amazon Choice” products on the Amazon store. The idea of MyLab Nutrition born from the request of the most demanding customers of T-Rex Integratori: the possibility of receiving customised products according to their nutritional and sporting needs. OK: – How does personalisation of food supplements work? What does customer need to do to choose his/her supplements? Gianluca: – MyLab Nutrition is born as an interactive laboratory for the composition of personalised supplements. The most expert sportsmen can use the interactive laboratory to create by selecting gram for gram their supplement formula. The less experienced athletes, however, can use the free interactive advice to receive advice about the perfect integration formula for their sports and nutritional needs. OK: – Why do you think personal food supplements is better than already existing solutions? Gianluca: – Every athlete has different nutritional needs, arising from his biological characteristics and his training routine. The standard products on the market are not able to meet the specific needs of each athlete, who in this way takes nutrients in over or under-dosage. The customisation solution will allow all athletes to receive the right amount of nutrients and bring their fitness status at the highest level. OK: – Is this type of food supplements safe? How do you produce it? How is about ingredients and formulas you use, is it something needs to be tested? Gianluca: – Each product, sold in single-dose sachets, is notified to the Ministry of Health and it is 100% Italian, produced by two Italian company leader laboratories about sports supplements: ACEF and Nutrival Borbera. Each raw material respects the parameters imposed by the health ministry. The algorithm of the platform continually supervises the creation of formulas preventing the user to select daily quantities higher than the safety limits imposed by the Italian Ministry of Health, and also, in real time combines the right formula ready to be purchased. OK: – How long does it take to receive the product at home? Gianluca: – MyLab Nutrition’s products arrive at our customers’ home in 24 hours. OK: – The team is vital for a startup at any stage. Who is in your team? Could you tell our readers about the uniqueness of each team member? Gianluca: – MyLab Nutrition was founded by two guys with complementary backgrounds and reliable market and product skills. A perfect mix to succeed in a market like sports integration. 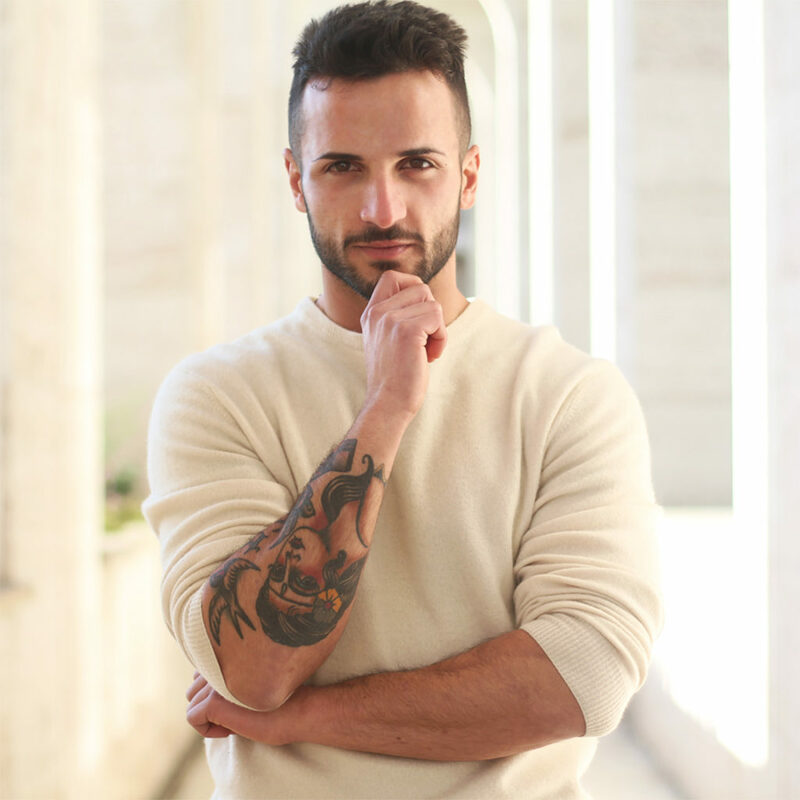 – Gianluca Perra, 26, CEO & Co-Founder. With 6 years experience in the field of entrepreneurship and the sale of food supplements through its creation brand “T-Rex Integratori”, currently growing, among the first best-selling brands on Amazon. 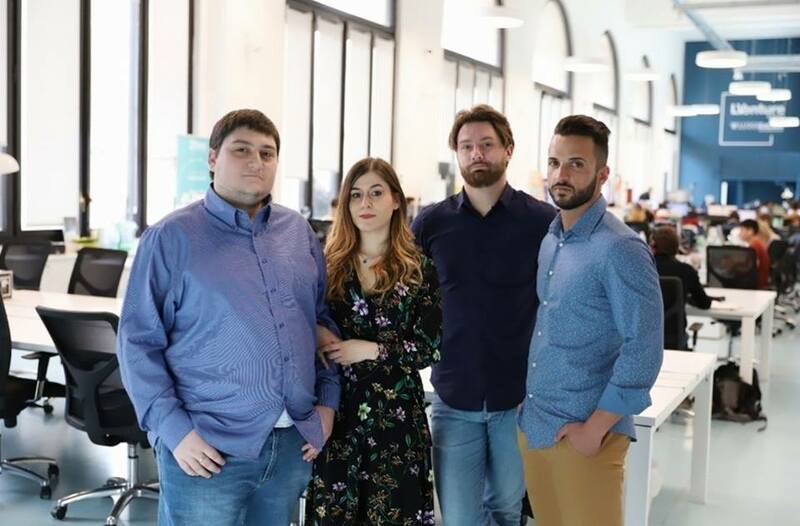 – Daniele Fumi, 26, CMO & Co-Founder, a degree in Business and Administration, specialising in digital marketing, with experience as a Digital Marketing Strategist in startups in the famous Roman incubator Pi-Campus. – Arcangelo Vicedomini, 22, CTO with 4 years experience as a full-stack developer in software consulting agencies and development portals for clients in the pharmaceutical, telecommunications, IoT and state agencies. – Daniela Quinto, 23, web designer, Degreed at Art and New technology Academy. Freelancer B2B and B2C. Has worked for Ux and Graphic Designer. OK: – How would you describe your team in one word? OK: – What is your plan for MyLab Nutrition for the next 6 months? What is your vision? Gianluca: – MyLab Nutrition has the ambition to become the reference point for the sale of customised supplements in Europe. In the next 6 months, we intend to focus on expanding the workforce and develop our affiliate network with gyms and personal trainers that will act as a vehicle for increasing sales of our products. OK: – Now, let’s go with a bit more in details about your personality. Often, in an interview, I ask why you choose this project and not others, why where you so interested in this specific topic. Going a long way around, this brings to the questions: what kind of child were you? Did you have someone who influenced you? Gianluca: – When I finished my studies, I immediately put myself into the field of entrepreneurship. In my life, I have always wanted to make a career and create something great with my strength. In the past, I opened and managed various activities that made me grow as an entrepreneur. In the last two years, by launching my brand, “T-Rex Integratori”, I have improved my online and commercial sales techniques. All these experiences led me to launch “MyLab Nutrition”, considered by others, “the future of sports integration”. OK: – Why did you become a startupper and what should anyone develop in him/herself to become a startupper? Gianluca: – To develop innovative business solutions often, you have little time available, and the startup approach is undoubtedly the only way convenient to develop your ideas. OK: – What is the most crucial lesson you received in your startup journey so far? Gianluca: – Never give up if you see difficulties in front of you, even when everything seems difficult there is always a quick and effective solution. OK: – What would you recommend to readers who have an idea, but haven’t figured out where to start yet? Based on your experience, what would be your advice to them? – The 99% does the execution’s idea. If you believe to revolutionise the world, go and realise it! Gianluca: – For sure the purchase of two manual cutters! We saved about 1000 euros by printing the labels of our 20000 products and cutting and sticking them alone!! OK: – What is the book (or books) you’ve given most as a gift, and why? Or what are one to three books that have significantly influenced your life? Gianluca: – In the last year surely “The Lean Startup” by Eric Lies, he has changed my mindset. Gianluca: – When I was opening “T-Rex Integratori” they advised me to align with the quality and low range products. I insisted on producing high-quality products and selling them for a higher price. The facts proved me right. Gianluca:- I invested 40k when I opened my brand “T-Rex Integratori”, and I reached the BEP in just 4 months. Gianluca: – I love to go on the track with the motorbike and make launches with the parachute, and I like extreme sports. OK: – Gianluca, what would you like to wish the readers? a website, personalised supplements, Instagram, Facebook.